Popular places are filled with people from all walks of life. Cities like London always have a very dynamic visiting population. People of all ages and different nationalities visit London, some for business, some for pleasure. London in many ways is the ideal place for such an amalgamation of different ethnicities. It has a large number of multi-cuisine restaurants that satisfy the taste buds of all kinds of people. 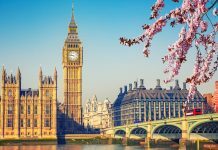 In order to cater the needs of different people from diverse backgrounds, there are many different types of hotels in London. There are bed and breakfast hotel accommodations for those who require a shelter only during the nights. 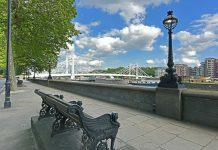 2 star and 3 star budget hotels which are decent accommodation options at affordable prices and then there are 4 star and 5 star luxury hotels and apartments like Park Grand London Hotel which offer all kinds of top-notch facilities and services. The most popular accommodation/room type which a large number of travellers look for is the double room in London. A typical double room type accommodation has a double bed along with other basic amenities like a cupboard, table and chair, tea/coffee making machine, television, telephone line and an attached bathroom. Most of the double room in London are also equipped with free high speed internet connection. So that the business or even the general travellers do not have to roam the streets of London in order to find the internet cafes. A double room is an ideal setting for the couple vacationers who have arrived in the city on their honeymoon or to celebrate any other occasions like birthdays or anniversaries. The luxury hotels of London treat such special guests in a wonderful manner. You can get a valuable discount or a deal package if you have arrived in the city on your honeymoon or to celebrate your birthday. You can opt for a package like honeymoon package, celebrations package or the special spa treatments package. The double room in London luxury hotels offer much more services and facilities like plasma television with satellite channels, pay movies, electronic locks, in-room safe, pillow menu, 24 hour reception and room service, complimentary champagne and bouquet of red roses, free chocolates and juices etc. 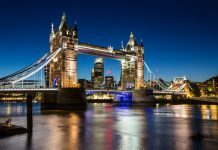 Share the post "Ideal for the Couples – Double Room in London"